On November 7, Port of Rotterdam Authority was awarded the ESPO Award 2018 in recognition of its engagement with the city or wider community, through the creation of a good workplace environment for its current and future employees and the demonstration of its investment in a diverse and inclusive environment, facilitating mutual respect, non-discrimination and personal development. The ESPO Award was handed out by the Deputy Director-General of DG Move, Maja Bakran, during a ceremony at “Palais des Académies” in Brussels. At this occasion, Maja Bakran said: "We truly see the ports at the heart of our transport system and you can count on our continuous support. 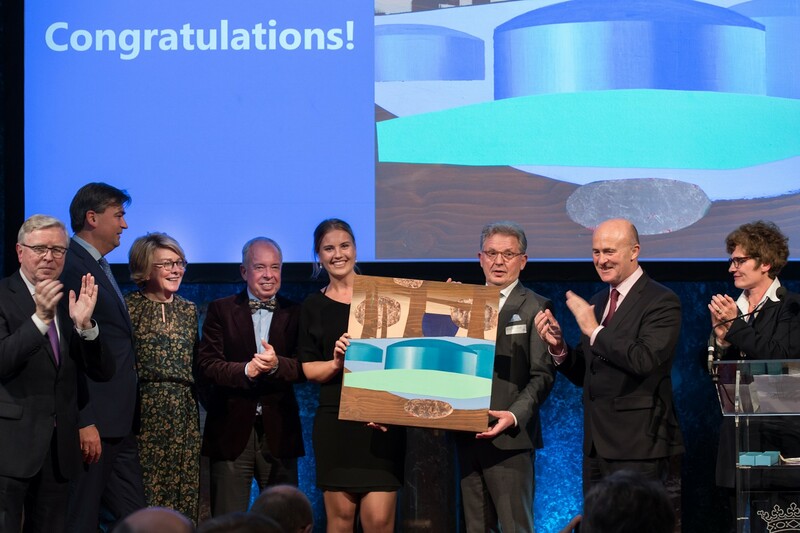 Congratulations to the 2018 ESPO Award winner: the Port of Rotterdam Authority!" On this special occasion, ESPO also published a Book of friends, gathering 30 memories and reflections of people who are or have been instrumental in the life of ESPO. ESPO is inviting the many other policy makers, stakeholders, members, or just friends of ESPO to write down their memories, reflections or contribution and sent it to celine.lefort@espo.be. They will be published on the ESPO website.